A typical tourist in Ukraine is offered to attend a standard set of attractions. These usually include ancient monuments, celebrated buildings, various religious structures, and natural sites. Indeed, according to destinations.com.ua, your vacation or staying in the territory of this beautiful country can bring much pleasure since it offers versatile traveling options. At the same time, some destinations do not enjoy high popularity despite their magnificence. So, if you are an enthusiast and prefer something unique and extraordinary, you are capable to experience the most extravagant and unbelievable spots throughout Ukraine. 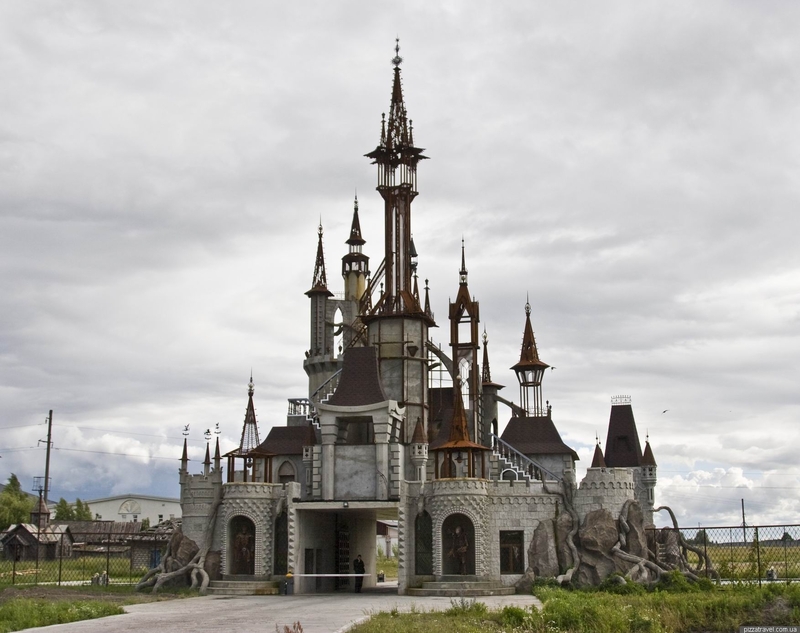 The first idea coming to mind when you see this building is “Can it be Disneyland in Ukraine?” In fact, the appearance really reminds a fantastic castle from Disney animated cartoons. Nevertheless, the actual purpose of this structure is entrance gate to Victoria Film Studios – the famous Ukrainian film studio. The destination is located 20 km from Kyiv Okruzhna Road on Zhytomyr Route near the Hurivshchyna village. Do not be confused because of the name since it is a jocose name of the attraction. In fact, this destination is the longest residential house in the world with the length of 1750 m (1.08 mile). The entire building has a shape of honeycombs and consist of 40 houses with different numbers of floors. The building has 120 entrance doors. Despite the uniqueness of the attraction, many dwellers do not even suppose that reside in the world’s longest house. City of Lutsk – Sobornosti Avenue and Molodi Avenue. Such interesting name is also joyful. Actually, it refers to the Saint Nicholas Cathedral located in the city of Chernivtsi. A peculiar feature of the building is the twirled shape of domes. 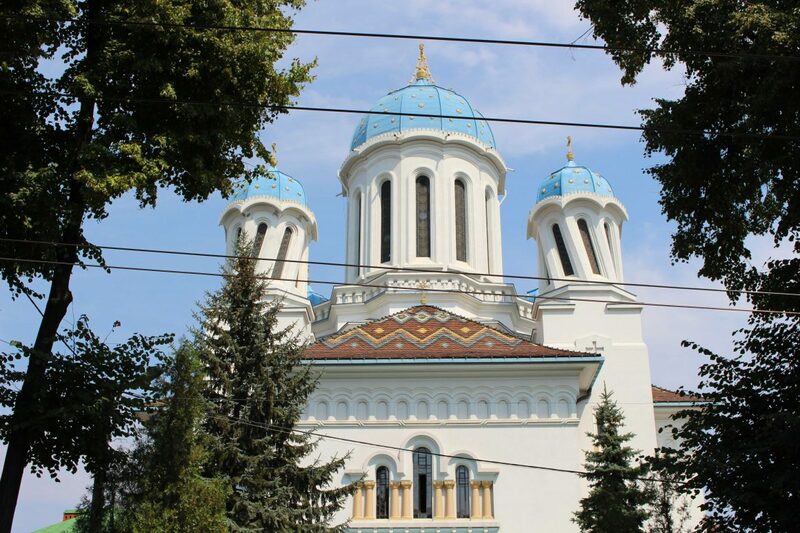 The orthodox cathedral was built in 1939 in Romanian style. Legend says that such shape of domes is caused due to sufferings and pain of people who gave their lives during the erection of the cathedral. Salo is a traditional Ukrainian product that can be translated as cured slabs of fatback. If you call it fat or bacon, you will not convey the entire meaning of this product. Due to the uniqueness of salo, the first museum dedicated to this favorite Ukrainian delicacy was opened. Visitors have a chance to see various exhibits represented by photos, sculptures, and pictures by artists from Ukraine and abroad. In addition, some exhibits of the museum can be tasted to understand why Ukrainians have a passion for this food. Actually, this destination is ruins of the ancient estate of the sugar industrialist, Mr. Mykhailo Tereshchenko. After the Great October Socialist Revolution, the rich industrialist was murdered and the estate was ruined. Eyewitnesses claim that one can see souls flying around the estate at night. Nonsense…but, who knows. 20 km from Zhytomyr on the Starokostyantyniv Route.